Can Sage 300 run on Mac? 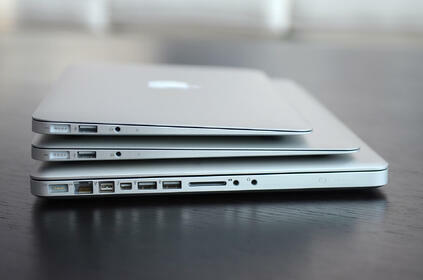 It’s understandable why many users and companies might prefer Macs over PCs. Among other things, one significant reason is that Macs provide an operational recovery option that PCs do not. While the initial purchase cost may be about the same, the total cost of ownership for Macs is typically lower overall and while many companies are allowing employees to choose between Apple OS X and Windows, unfortunately there still remain critical corporate needs that only Windows applications serve. As a result, we are often asked, “Can Sage 300 (Accpac) run on a Mac?” In true consultant fashion, our answer is neither yes nor no. It’s yes and no. So who does this option work well for? Executives and road warriors are great candidates for Sage 300c. Why? Most executives and road warriors do not require the same processing requirements of in-office users. Considering the Mac’s ability to better handle malware and phishing attacks on these sensitive users’ systems and an argument for Mac use is not unreasonable. You may have heard about Sage 300 Online RDS which runs on Microsoft Azure. For organizations with fairly basic accounting and operational needs, Sage 300 Online is accessible through a web browser with no special hardware or software requirements other than Internet Explorer and an internet connection. Specifically, Internet Explorer is the only web browser supported, which eliminates usability with a Mac. The most full-featured Mac workaround involves accessing Sage 300 via remote connection (RDS/RDP) to a Windows server where the traditional Sage 300 (Accpac) software is installed. Basically, users click an icon on their desktop and the icon connects them to the remote server where all of the software is installed and accessible. Instead of running Sage 300 on the individual computer, the remote server does all of the processing. This remote connection provides an easy way to use a Mac. It oftentimes yields noticeably improved performance for end users when compared to standard workstation clients. If your internal IT team is not equipped to manage a remote server configuration internally or perhaps you require 24/7 uptime and do not wish to expend internal resources supporting this, your organization could outsource the setup and maintenance of the remote Windows server and Sage 300 software to an external party who would provide all of the Sage 300 Hosting services and the necessary technical infrastructure as part of the hosting package. The bottom line: the standard server configuration of Sage 300 with client workstation setup for users does not support Mac use as an option and the same goes for Sage’s hosted solution Sage 300 Online. However, if the use of Apple products is desirable or necessary, we strongly recommend consideration of the Sage 300c hosted on a remote server.